So, last week I shared my recipe for All Natural Fabric Refresher Spray, which is great for neutralizing odors in the air and fabrics, but sometimes you need something that will absorb odors without being so obvious, right? 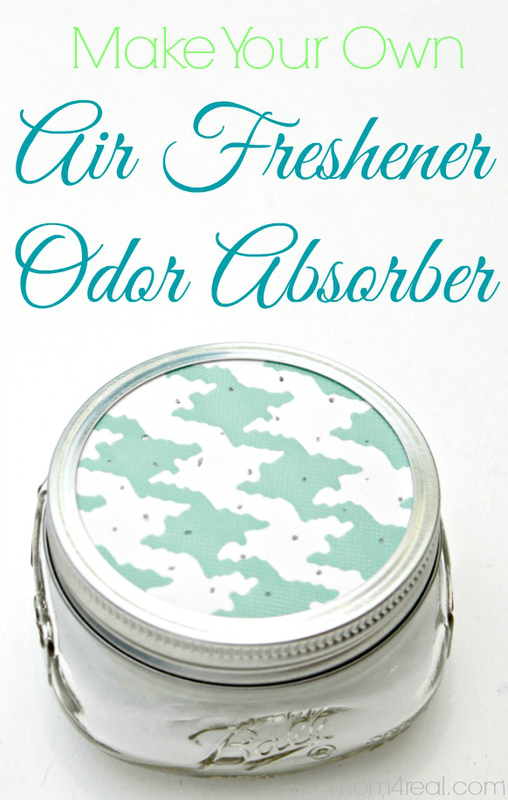 Today I’m sharing a recipe for Homemade Air Freshener / Odor Absorber…you will not believe how easy it is to make, and it seriously helps pull the odor out of the air in the stinkiest of rooms. These are great for bathrooms, baby rooms (next to the diaper pail), kitchen, closets and anywhere you may notice moisture or stink in the air! You will need a 4oz mason jar, 1/2 cup of baking soda, 15 drops of essential oils in your scent of choice and some scrapbook paper or wrapping paper. 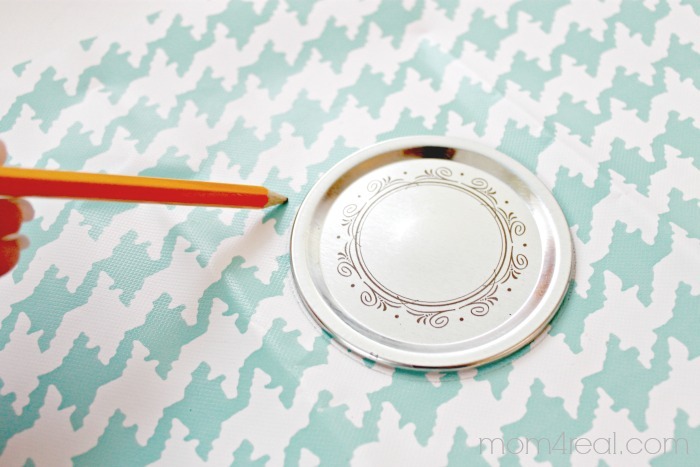 To start, trace one of the mason jar lid inserts onto the paper of your choice. I used some leftover wrapping paper. 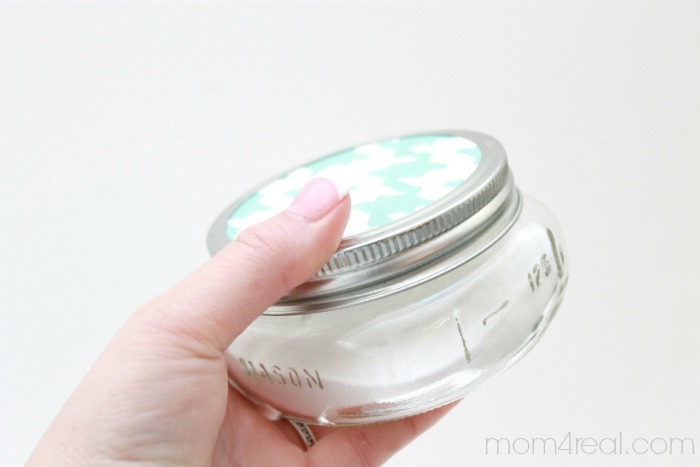 Now take 1/2 cup of baking soda and place it inside of the mason jar. Now add 15 drops of essential oils. I used lavendar oil. 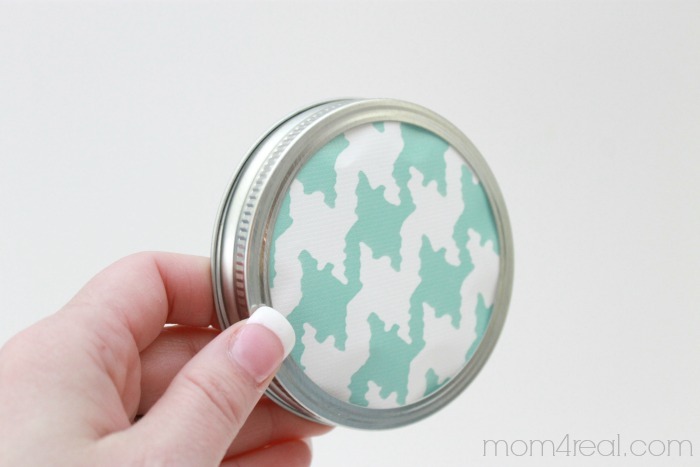 Now place the paper circle that you cut out into the mason jar lid, leaving the metal insert out. Place the lid onto the jar. 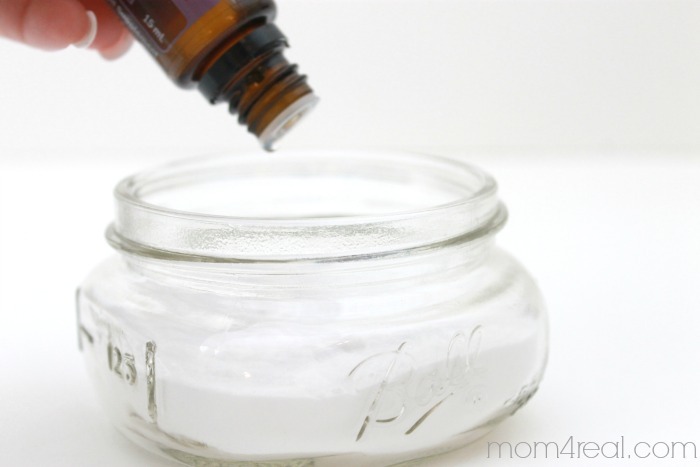 Now, gently shake the container until the essential oils and baking soda blend together. 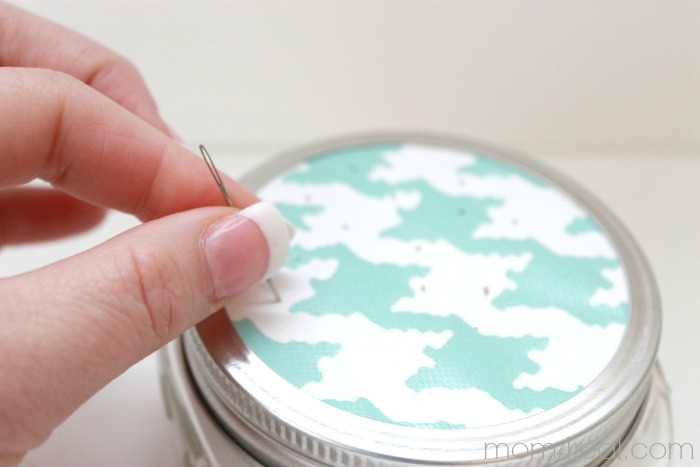 Take a sewing needle and poke holes in the paper. That’s it folks! Now place in your bathroom or room of choice! It will not only leave a nice faint scent in the air, but the baking soda will also absorb any stink or moisture in the air as well! 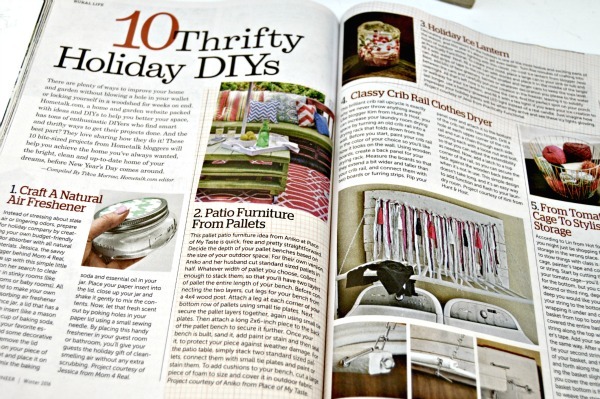 Plus, it’s cute, and you can totally customize it with the paper of your choice so it will fit in with any room decor! For more cleaning tips and tricks like How To Clean In Between The Glass On Your Oven Door , click HERE! 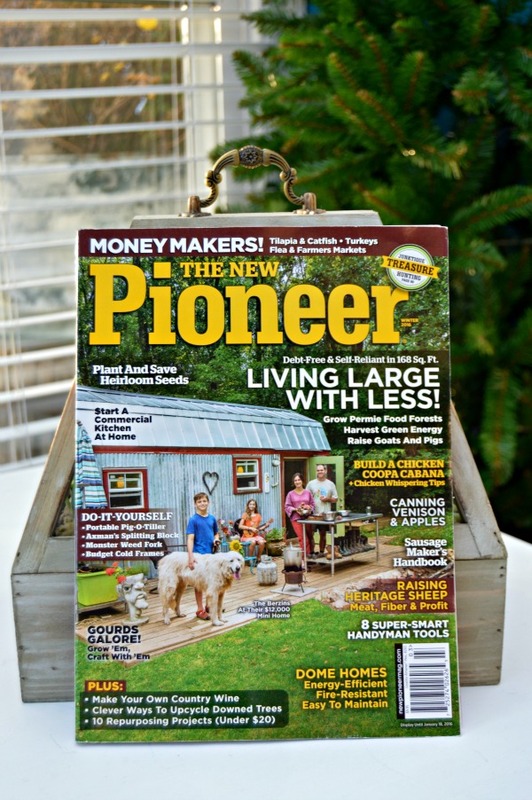 This project was recently featured in Country Almanac Presents – The New Pioneer Magazine…an awesome publication full of gardening, farming and DIY ideas! I couldn’t be more proud! You can check it out in The New Pioneer Winter 2016 issue! I was using the spray but that only masks the odor. I have 4 inside cats and 3 litter boxes. We clean it a few times a day use the spray (got that from HELOISE) but can still smell it. I made 2 tonight and will make 2 or as many jars as I can find. Great. I am going to buy a case of BAKING SODA. It works for mostly everything I see here on Pinterest. I love this Web site. You find out what the brilliant people do. Have you tried adding the Baking Soda to your Litter Boxes? Seems to me it would absorb the odor – or at least help. Also, if you have a Sam’s membership (or something similar) they sell Arm & Hammer Baking Soda in 5 lb ziploc bags very cost effective. I appreciate the effort of spreading a recipe that does not involve nasty carcinogenic chemicals. However, mixing strong oils (or any liquid for that matter) with baking soda seems odd for two reasons. 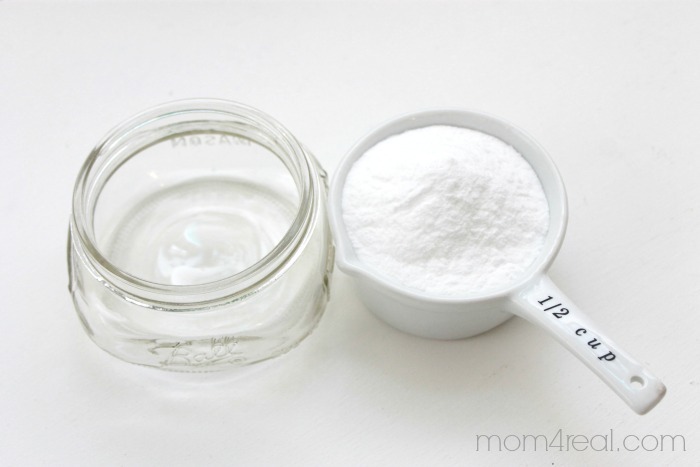 First, the baking soda naturally combats all odors, even pleasant ones such as oils. Second, the baking soda will clump with the oils, making the oil less effective than if it had direct contact with the air. I mix the lavender essential oil up with the baking soda. It makes it very soft texture and very loose. It’s a nice amazing combination. How long do these last before the baking soda and essential oils have to be replaced? I am also curious about the mixture of baking soda and essential oils working against each other chemically. I am interested to try this and see how it works. I made 2 of these for my small bathroom and sadly the good smells didn’t last more than a couple days. I really wanted it to work but it does seem like the baking soda absorbs the oil smells. It does also seem to have lessened the bad smells too, though, so it’s not a total loss. Where do you find essential oils ? Be careful of where you get essential oils, especially if you’re going for a natural source of scents. Michaels for example is not a pure oil and does contain some carcinogenic properties. Whole Foods does tend to be better quality, but if you’re willing to spend the money for a very good pure essential oil check out http://www.youngliving.com. I am going to try this for my apartments water heater closet. Unfortunately the new tenants below me smoke marijuana and the nasty skunky smell lingers. Oh goodness! I hope it helps! Go to amazon and buy a couple of essential oil diffusers and then order some DoTerra or Young Living orange, lemongrass and peppermint oils and diffuse!!!! Fills up your whole house with yummy freshness!!!! I use doterra essential oils. A little goes a long way. Well worth buying pure essentially oils. Doterra defusers are a smart way to use oils. I’m using for therapeutic reasons and enjoy the scents at the same time.